Edwards & Grant Solicitors are a dedicated immigration and nationality law practice who can advise and assist with all aspects of immigration to the UK. We have a wealth of experience in Human Rights claims, Visa applications, Visa appeals, and spousal/dependent applications. Our aim is to offer advice and assistance to those wishing to enter and/or remain in the UK, catering for both commercial and individual needs. From the outset our advisors will advise as to the best course of action, prepare and lodge your applications and appeals, and if refused, advise on the appeals process before representing you at court. The Department has been operating since 1995 and is led by Mr Manjit Singh who has specialised in Immigration and Nationality law for over 25 years. Clients can rest assured that they can talk openly and freely without fear of language barriers. Our advisors can communicate with you in Hindi, Urdu, Gujarati and Swahili and we can arrange for professional interpreters if it is required. Edwards and Grant Solicitors practice is a member of the Immigration Law Practitioners Association and is regulated by the Solicitors Regulatory Authority. 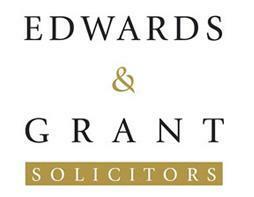 Edwards and Grant Solicitors is a specialist law firm focusing exclusively on Immigration, Asylum, Human Rights and Nationality Law. Advice is given on all Immigration situations, if you have an immigration matter which does not fall under any of these categories please call us to discuss your situation and arrange an appointment with one of out advisors. We operate on an agreed Fixed fee basis which means that you only pay for what we have agreed to do.If you want to discuss your immigration matter and costs for the work undertaken,please contact our office by the e-mail or phone number provided.